Russian players looking for a safe way to transfer real money to an online casino should consider using Yandex.Money, an online payment service available exclusively to Russian players. We explain more about Yandex.Money and how you can use this payment provider to play for the chance to win real cash at the leading online casino sites. Yandex.Money is a popular Russian online payment service that works in a similar fashion to a standard web wallet. It aims to provide a simple online payment service to pay utility bills, transfer money to friends and family, buy goods at online stores and transfer funds for online services, including making online casino deposits. According to an independent study conducted in 2016, Yandex.Money is now Russia’s largest electronic payment provider. Yandex Money is owned by Yandex.com, which is a Russian multi-national technology company specialising in Internet related products and services. It also has an extensive presence in Ukraine, Kazakhstan and Belarus, and is considered one of the largest Internet companies in Europe. Yandex is the largest search engine provider in Russia while also providing other such services as cloud storage, GPS maps, SEO tools, online translators, email hosting and much more. Essentially, Yandex is the Russian equivalent to Google. Why use Yandex.Money for online gambling? Online gambling is heavily regulated in Russia, and it is technically illegal for Russian players to gamble for real money at online casino sites. The Russian government has gone to great lengths to enforce these laws, blacklisting multiple unlicensed casino sites from operating in the country and requiring internet providers to block a number of gambling domains and websites. Despite this, many Russian players continue to ignore the laws and play at offshore casino sites, getting around the geo-blocks by using virtual private networks (VPNs) to access leading online casino sites, many which happily continue to accept Russian players. In 2017, the Russian government took an extra measure to stop online gambling, making it harder than ever for Russians to play for real money online by introducing a bill preventing Russian banks from processing payments to online gambling sites. This is where Yandex.Money comes in, providing a safe way for Russian players to transfer funds online without having to go through their usual financial institution, thus presenting a loophole around the payment blocks. If you do choose to play at an online casino, it is entirely up to you to be aware of the laws that apply to you and to understand you are playing at your own risk. The Russian government does impose small fines for anyone caught playing at an illegal casino site, although to date there has been no record of this happening. Use a VPN for an extra layer of security, and only play at reputable casino sites that are licensed by a reputable offshore gambling jurisdiction. Sign up for an account with a trusted online casino that accepts deposits using Yandex.Money. Go to the banking section and select Yandex as your chosen payment method. Follow the prompts to enter the amount of money you want to transfer, your Yandex wallet details and then click through to complete the transaction. Funds transferred via Yandex are processed on the spot, so you can start playing your favourite online casino game for real money right away. Note: Yandex applies a processing fee to all payments made via their online payment system – this transaction fee has nothing to do with the online casino. When you sign up for a web wallet with Yandex.Money, you also have the option of signing up for a free virtual money card. 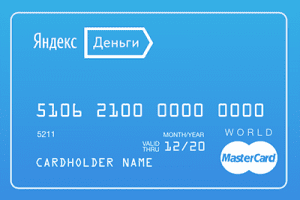 The virtual money card is directly linked to your Yandex web wallet, with both the card and the wallet sharing the same balance. The virtual card can only be made for online payments, and it can be used anywhere MasterCard is accepted. This means even if Yandex web wallets aren’t offered by an online casino, you can use your Yandex.Money virtual card to transfer funds just as though you were using a credit card. Is Yandex safe to use for casino deposits? Yandex.Money is a highly reputable and trusted online payment provider, servicing millions of Russian users every single day. All transactions are protected by SSL (secure socket layer) digital encryption security, while having the added benefit of being completely anonymous. As payments made via Yandex are not directly linked to your credit card or bank account, the online casino vendor is not privileged to any of your personal financial information, making Yandex a smart and safe payment method for Russian players. Yandex.Money is so popular in Russia that if an online casino accepts Russian players, it is also likely they will accept deposits using Yandex. You can check the deposit options available by signing up for an account at a reputable online casino and going to the cashier section, or checking the banking FAQ section of an online casino before registering for an account. If Yandex.Money isn’t an available option, other safe deposit methods to consider are Skrill, Neteller, Paysafecard, ecoPayz and Entropay. Russian players should always avoid deposits via bank account, credit card or debit card due to Russia’s strict anti-online gambling laws which may block any financial transactions made between banks and offshore casinos. Remember that Yandex.Money is available exclusively for Russian players. For a full list of the top-rated online casinos accepting players from your country, check out our casino tables which have been customised to only recommend the best casino sites that cater to your region.